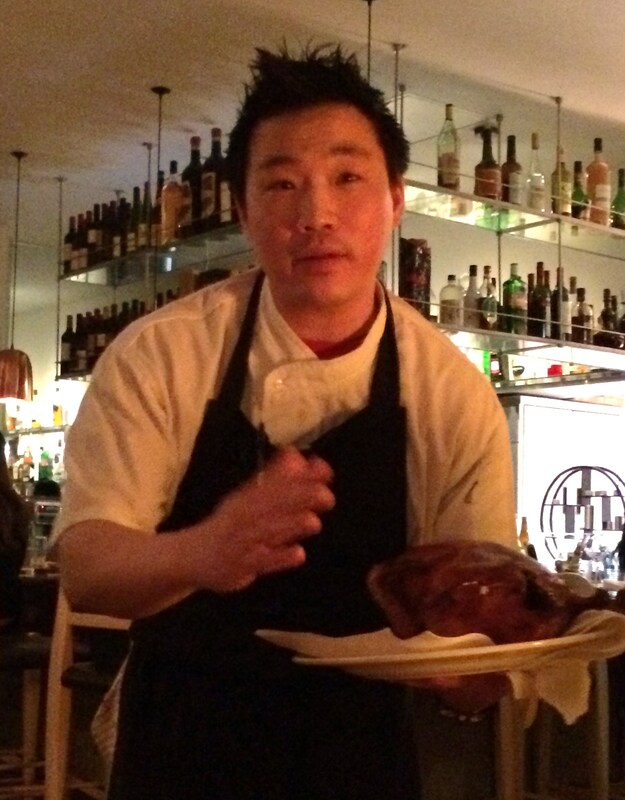 Andrew Wong’s restaurant, tucked away in the streets of London’s Pimlico, has been a hidden gem of the capital’s restaurant scene for a while and stands out for its unique and most extraordinary Chinese food experience. Unless you are a foodie following gastroworld-news regularly, you might not have heard of it before. But once discovered, this is a place you will keep returning to. Having long been my favourite Chinese restaurant A. Wong has now turned into my all-time London favourite. It is always a pleasure to see Andrew, an extremely talented and successful yet very down-to-earth chef at work in his immaculate open-plan kitchen; while the manager, his lovely wife Natalie, makes sure your culinary experience is complemented by friendly and professional service. Andrew’s creative process never stops, so make sure you follow this blog as I will be adding more of his new culinary delights to the album over time. 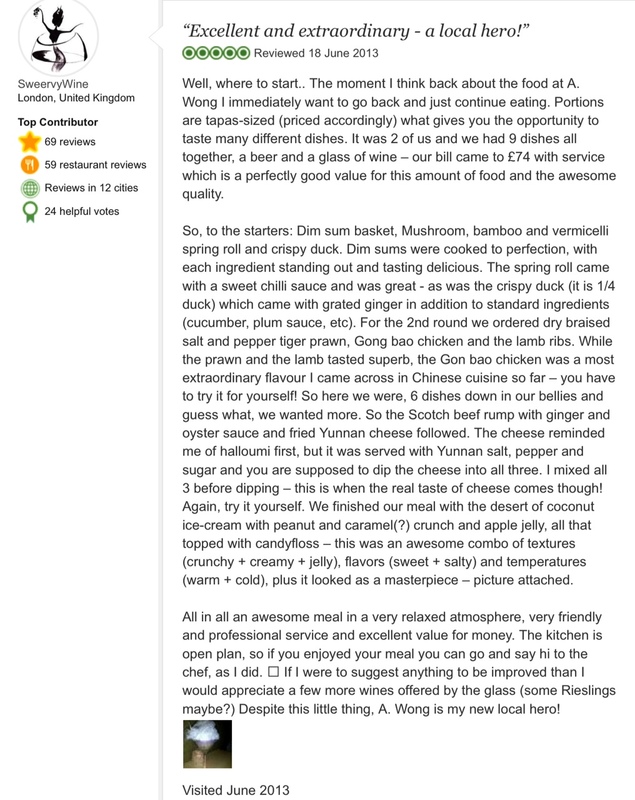 Click on text to the right to read my review of A. Wong after my first ever visit to this wonderful restaurant back in June 2013. Browse the gallery below to get an idea of what I am raving about and make sure you get to try this fantastic food yourself. Tip: check out the video section for another surprise from Andrew’s kitchen! We SO have to check it out next time we’re in London!